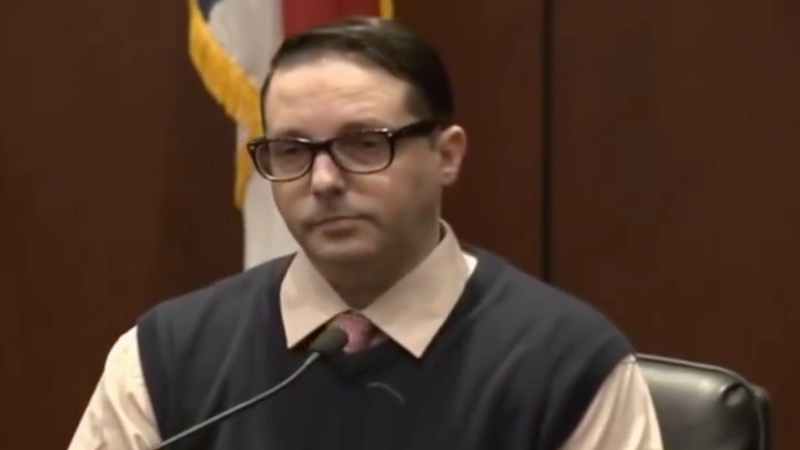 A North Carolina man who warned 911 operators that he was going to kill the “hoodlums” in his neighborhood who had the “devil in them” was convicted of first-degree murder and sentenced to life in prison on Friday. Chad Copley was nicknamed “George Zimmerman 2.0” by the Thomas family attorney, a reference to the man who shot and killed unarmed teenager Trayvon Martin in Sanford, Fla., in February 2012. According to the Washington Post, Copley said that he heard Thomas and his friends yelling outside his home and revving their engines. Copley said that he yelled back at the men from his window, but they pulled out guns from their waistbands. According to Copley, Thomas, strangely, then ran toward him, causing Copley to fire in self-defense. But on cross-examination, after he was confronted with the forensic and physical evidence, Copley admitted that there was no gun and that he hadn’t even heard anyone revving an engine. Copley also admitted that his community didn’t even have a neighborhood watch. It took a jury less than two hours to find Copley guilty of first-degree murder on Thursday. On Friday, during the sentencing phase, Judge Michael O’Foghludha sentenced him to life in prison without parole. When asked for comment, the devil replied that he was only in one person that fateful night, but promised that he would stay with Copley for years to come.